Morning after breakfast Depart for Naldhera by surface approx. 77 kms/3 hrs. Afternoon arrive in Naldhera and check inn at the hotel. Later u can Visit a thick cedar forest, picnic grounds and a nine-hole par 68 Golf course that is regarded as one of the most challenging in the country. In the repeat nine there are four additional greens and different tees, which increase the yardage in the second round. This was designed by the British Viceroy of India, Lord Curzon and he was so enchanted by the spot that he often camped here for days on end communicating with Viceregal Lodge by means of a heliograph. He even named his daughter after the place. Morning after breakfast you depart for the Tattapani, Kogi village, Mahakali Temple. Evening will be at your leisure. Overnight at the hotel . Morning after breakfast Depart for Naldhera by surface approx. 25 kms/1 hrs. Morning you depart for the winter sports capital – kufri, where you can photograph yourself in Pahari or Himachali outfit, available on hire. 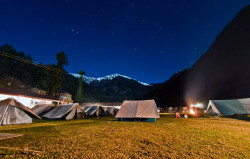 You can also horse riding or Yak riding on your own. 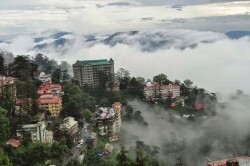 Proceed to Shimla, Checkk in at Hotel. Evening Later visit the famous Mall Road which still has some building built in the British Style. Overnight at the hotel. Morning After having breakfast, Depart for Chail by surface approx. 55 kms/2 hrs. Enjoy the natural beauty of Chail. Visit Maraja palace. Overnight stay at hotel. Morning you will be transferred to Delhi by surface approx. 336 kms / 8 hrs. Delhi shopping and sightseeing to your hearts delight. You will be transferred to railway station. Train for Indore at 22:10 Hrs.